Directed by Seth Kramer, Daniel A. Miller, and Jeremy Newberger, THE ANTHROPOLOGIST is a follow-up to their Sundance hit and Emmy Award nominee THE LINGUISTS. The film tells the story of Katie Yegorov-Crate, a thirteen-year-old girl from Fairfax, Virginia. She is carted around the globe by her mother, noted environmental anthropologist Susie Crate. Susie studies the effects of climate change on centuries-old indigenous communities. Famed anthropologist Margaret Mead also analyzed how communities confront change, but that which results from war and modernity. 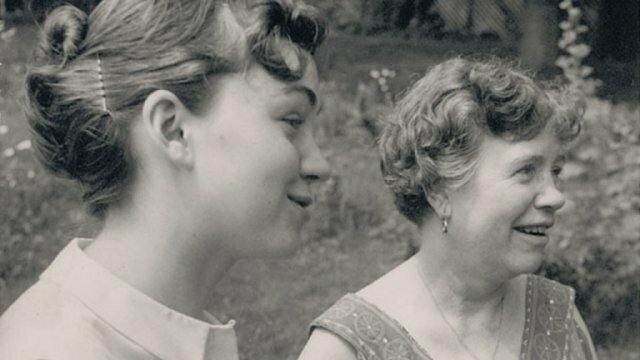 Her daughter Mary Catherine Bateson, now 76 and a cultural anthropologist in her own right, provides extraordinary insight into what Susie and Katie discover. Filmed over the course of five years, THE ANTHROPOLOGIST is a meditation on change, both individual and societal. Susie and Katie work with people in Siberia, the South Pacific, the Andes, and the nearby Chesapeake Bay, who struggle to reconfigure how and where they live. In Siberia, where Susie met Katie’s father while doing research, Katie’s relatives can no longer farm on land they’ve occupied for generations. Katie’s roots are also threatened by the inhospitable soil.